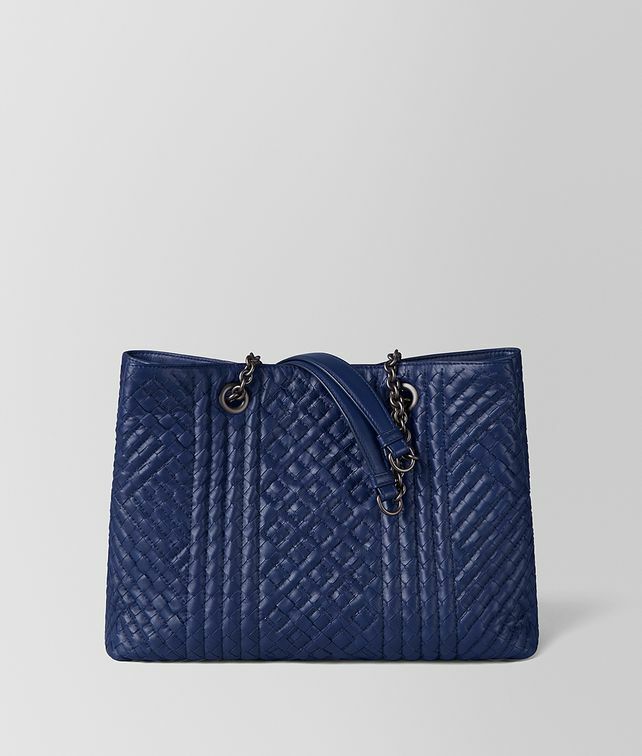 A quilted workmanship adorns this classic tote, with padded and overstitched nappa creating dimensional geometric motifs on the intrecciato. The interior features a zipped partition, zip pocket and two flat pockets. Finished with a brunito chain strap.